Australia’s largest lavender farm opens its gates all year round to those with a passion for purple perfection. Bridestowe Lavender Estate is one of Tasmania’s signature destinations, recognised for the spectacular view of its seemingly endless fields of lavender flowers in bloom during December and January. The farm is an iconic piece of Tassie’s pioneering history, starting in 1922 when Bridestowe’s founder, Charles Denny, sailed from England to Tasmania with a bag of lavender seeds collected from the French Alps. 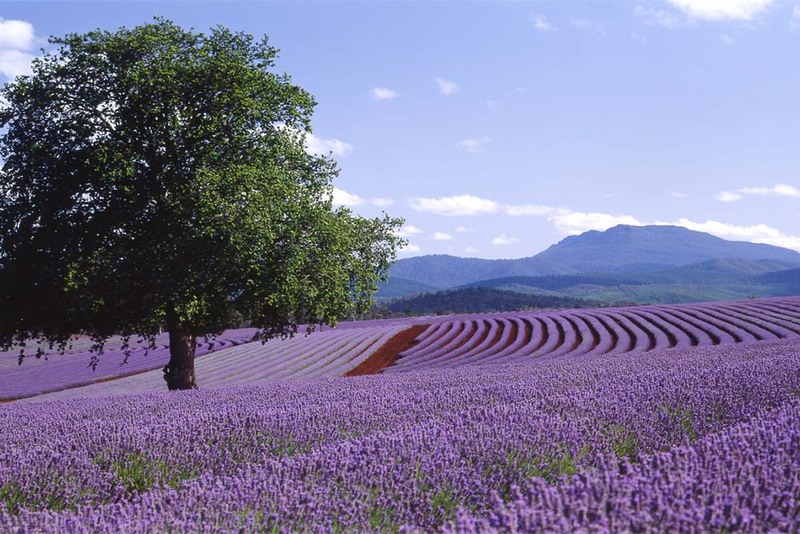 The enterprising Denny family had soon built one of the world’s largest lavender farms in the pristine environment of north-east Tasmania, and Bridestowe claims to have set the world standard for fine lavender oil since. 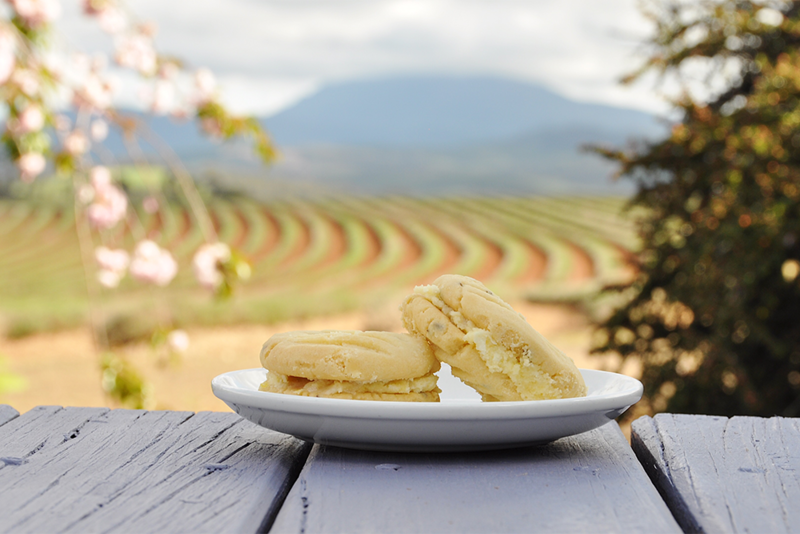 Visitors, who are welcome all year round, come to enjoy both Bridestowe’s Australian-made lavender products and the peaceful atmosphere of Australia’s largest lavender farm. 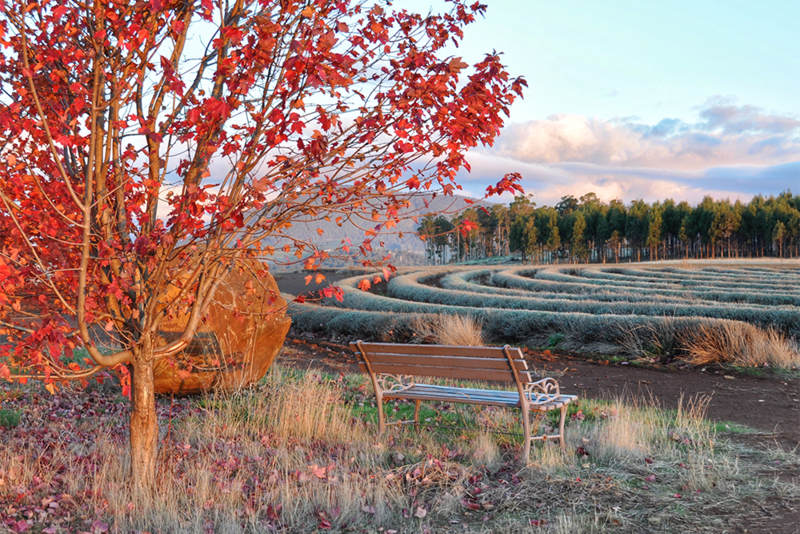 Even outside of the flowering period, the Estate is the perfect place to see the turning seasons reflected in the ornamental gardens, native bushland and contoured rows of lavender set against the striking backdrop of Mount Arthur. 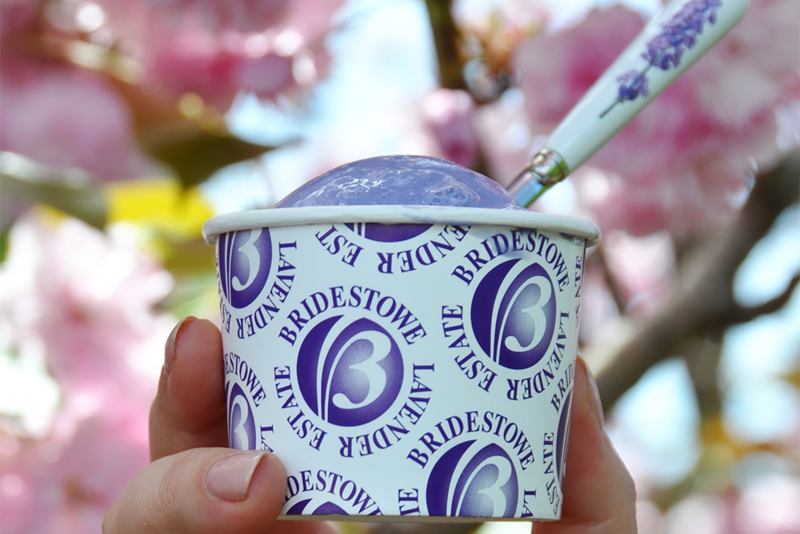 Located a scenic 45-minute drive from Launceston and situated in the heart of the Tamar Valley Wine Route, Bridestowe Estate is a perfectly positioned stop for a walk, lunch, and a signature lavender ice-cream. Within a leisurely driving distance are thriving local wineries, local history, and the many natural wonders of Tasmania’s stunning North East region. During peak flowering period (typically December through to late January), a $10 entry fee per adult may apply. This includes parking, guided tours that run regularly through the day, and all-day access to 50 hectares of blossoming lavender fields. Self-guided tours are also available. For flower forecast and harvesting updates check BridestoweLavenderEstate on Facebook or @bridestoweestate on Instagram. Bridestowe is essential, even out of lavender season, it’s a beautiful drive, and Bridestowe is an amazingly gorgeous place!!! We loved it (in May). 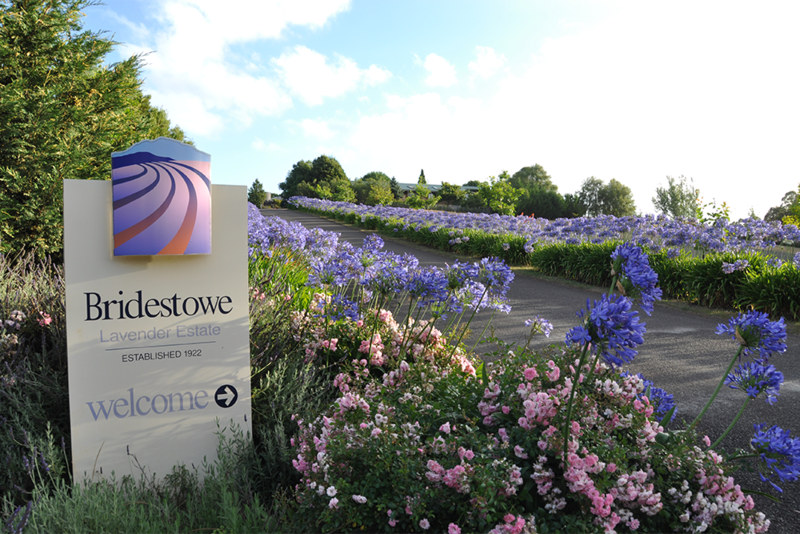 Bridestowe is worth going to, even out of season – it’s an easy and interesting 45 minute drive from Launceston – we visited “out of season” and thought it was a gorgeously jawdrop scenic estate!!!!! Well done to Bridestowe owners/workers – it’s an amazing place.